When the body of Steph Ryder turns up dead, DS Allie Shenton may not know who is responsible but she has a good idea it has something to do with Steph’s husband, Terry, a local villain the police can’t seem to ever pin anything on as he hides behind his legitimate property business. The fact that Terry initially seems devastated doesn’t convince Allie, and neither do the alibis of Steph’s daughter or best friend – both of whom have secrets to hide. Each way she turns, there seem to be people telling lies and dodgy dealings to uncover as she becomes determined to find out the truth and the killer. 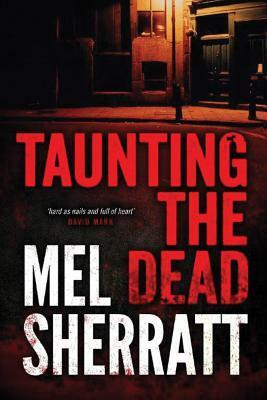 This is my first Mel Sherratt novel, though I’ve heard good things in the past, and I am disappointed in myself for waiting so long to read one of her books because it was a real page turner and a great piece of crime fiction. The story is full of good twists in the tale and red herrings too, making me second guess myself more than once despite what I knew. The plotting was well done, starting with the murder before rolling back a week and taking time to introduce all the key characters, including Steph. This meant I had sympathy for her – she wasn’t just a dead body and I cared what had happened to her, despite her not being the most pleasant of women. As the central character, Allie is likeable but flawed and someone I want to get to know better. I even found myself forgiving a rather unfortunate dalliance. As the first in a series, it ended with a set up for book two, which I bought and now can’t wait to read. Liked this a lot – a recommended read! Glad you enjoyed this one Emma!